As the vice president responsible for human resources at the Economic Policy Institute, a small organization covered by the Fair Labor Standards Act (FLSA), I know first-hand that the FLSA provides employers with all the flexibility we need to manage our workforce and to provide our employees with a good work-life balance. The notion that the FLSA makes it hard to accommodate the workplace flexibility needs of employees is totally bogus. The existing law provides total freedom to set starting and ending times, to have employees work four 10-hour days without paying overtime, to work different hours every day of the week, and to make ad hoc adjustments when employees need special consideration. The only serious limit on flexibility is our need as employers to manage the work flow and keep track of all of our employees. At EPI we try hard not to require more than 40 hours a week from our staff, but if there’s no avoiding long hours, we pay time-and-a-half overtime to non-exempt employees, including our excellent research assistants. (Making employers pay for overtime doesn’t limit the flexibility of employees—it limits the ability of employers to schedule endless hours of work, to steal weekends and holidays, etc.) At EPI we also provide time off to exempt employees to make up for long hours if we need them to work on weekends or holidays. Most important, at EPI we provide every employee, from their first week at work, plenty of paid vacation and paid sick days so that they can arrange their schedules to meet their own and their families’ needs—and paid maternity/paternity leave and bereavement leave, too. If you have four weeks of vacation, you don’t have to worry whether you’ll be able to take time to attend a child’s graduation ceremony or a friend’s wedding. We also accommodate the accidents of life: when non-exempt employees have to leave work for an hour or two for an unforeseeable reason, we authorize supervisors to allow them to make up the time in the same workweek so they don’t lose any pay. We do all of this under the current FLSA. So what is this nonsense about comp-time? Why would anyone think we need H.R. 1180, the Working Families Flexibility Act, when clearly we don’t need it and our employees don’t need it? If we want to reward a non-exempt employee for working overtime, we pay her time-and-a-half for working it, and if she later wants to take unpaid leave at a mutually convenient time, we can grant her that leave. The FLSA is no obstacle. Why then are the Society of Human Resources Management, the Chamber of Commerce, and a host of other business groups pushing a bill to let us do what we can already do? Because it adds an anti-worker but pro-employer twist. To get time off under the bill, the employee has to make an unsecured, zero interest loan of her overtime pay to the employer. And employees who have no paid vacation or paid sick leave will feel pressured into giving up their right to receive overtime pay in order to have some hope of getting time off in the future. This is a lousy bargain for the employees. Lending their overtime pay to the employer puts employees at risk: 400,000 businesses close every year, according to the SBA, and it’s doubtful employees will recover banked overtime pay when the business closes down. Moreover, there’s no guarantee that they’ll get to take the leave when they need it. If the employer thinks the requested time off would be unduly disruptive to its operations it can refuse the request. Employees in governments that adopted comp time systems often find themselves with 200 hours or more in their leave “bank” and no opportunity to use them. Simply put, HR 1180 is a scam. It pretends to offer a benefit to employees, but in reality it’s a benefit to employers who get to schedule overtime work but delay paying for it for up to 13 months. 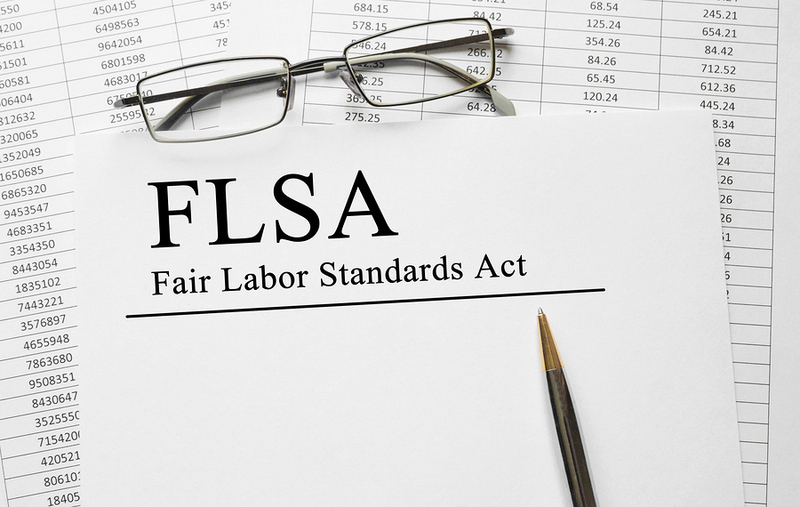 Employees who now have an absolute right to overtime pay under the FLSA would be forced to bargain for it under Comp Time—a clear loss for them. The sad truth is that any employer who cares to do so can provide the flexibility employees need right now, without any help from HR 1180. But employers motivated by something other than concern for their employees will be given one more way to pressure employees into working longer hours, one more way to put their own financial interests ahead of their employees’. The Senate should reject this fraud and take up truly worker-friendly legislation like paid sick day legislation, paid family leave, or even a mandate for paid vacation. Vice President of the Economic Policy Institute since 2003, Ross Eisenbrey is a lawyer and former commissioner of the U.S. Occupational Safety and Health Review Commission. Prior to joining EPI, he worked for many years as a staff attorney and legislative director in the U.S. House of Representatives, and as a committee counsel in the U.S. Senate. What about the time-and-a-half? Does this proposed legislation keep the time-and-a-half for overtime hours? In other words, if I work fifty hours this week then my paycheck will show the equivalent of 55 hours at straight-time wages. If this law passes and I am forced to bank my overtime, do I get ten hours straight-time pay to my credit or fifteen hours? Speak for yourself. Overtime pay was essentially a stealth labor coercion tool that allowed employers to work staff (me for example) as long as they wanted so long as the worker’s productivity (my labor) earned more than it cost. Which could be essentially forever. Comp time ensures that every hour labor (me) is forced to work over 40 is being removed from the coming schedule. Which has an absolute and unavoidable influence of labor scarcity and the ability to continue operations in the immediate future. In short, it forces the employer to think carefully before robbing the total number of work hours it has from its future to cover a shortfall today. Personally, my time is worth more than time and a half and I need to know that when my work week is up, it’s up.